The atmosphere becomes ' umbrella ' during the day to protect the entire creature on Earth from heat grilling, while evening the atmosphere acts as a blanket to protect humanity from the ice. If the Earth's atmosphere is not available, then according to the calculations of the Earth's temperature at night so minus 273 degrees Celsius, which means that life on Earth will be extinct by means of freeze. The Earth will be drought. The Earth will be hit by a meteor storm hajaran easy. There is no radio broadcasts. Earth destruction because of the storm. Living beings will be extinct. If the layers are troposphere (the lowest layer of the atmosphere's reply) do not exist, then the Earth will experience drought, because this is the troposphere layer place the formation of clouds. 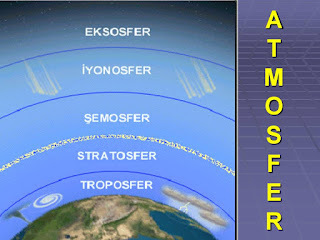 Earth's atmosphere also protects the Earth from meteor attack. If the atmosphere is missing, then any meteors hit the Earth directly. The layer of the atmosphere called the ionosphere, reply serves to reflect radio waves. Imagine if this layer tdk is there then a man never can listen to news, information, music, or anything else through the medium of radio. The atmosphere we also withstand exposure to solar storms, from exposure to be detained by the atmosphere and the Earth's poles. But, if there were no atmosphere, then storm the Sun will be directly on the surface of the Earth. 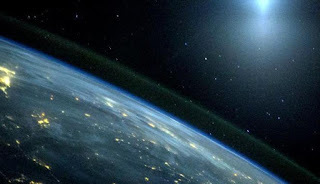 The Earth's atmosphere, which consists of the majority of nitrogen (78%), 20% oxygen, and 1% other gases, are required to live by the terms of all beings (humans, animals, plants). There is no atmosphere then all will die. That's the stuff that will be caused if the Earth's atmosphere does not exist. There are still many other bad things obviously worse than the things mentioned above. Take Care Of Our Earth.